These ornaments are so simple they do not need much in the way of instructions. The results are priceless reminders of our children’s handiwork over the years. 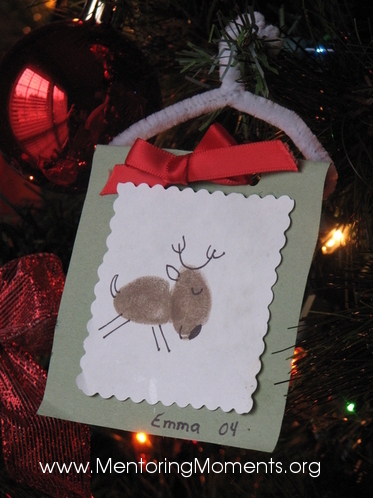 A pipe cleaner, some cardstock, an ink pad, ribbon, and a pen is all it takes to create a thumbprint reindeer. 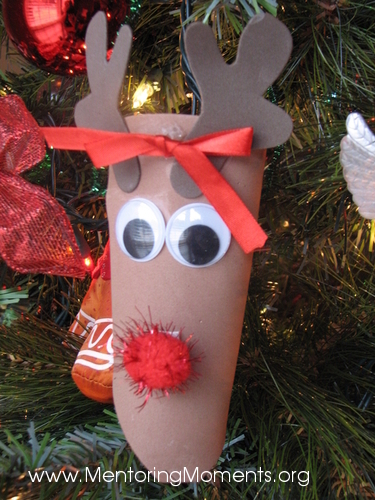 Brown foam, googly eyes, red pom pom, foam cut-out ears, and some ribbon. 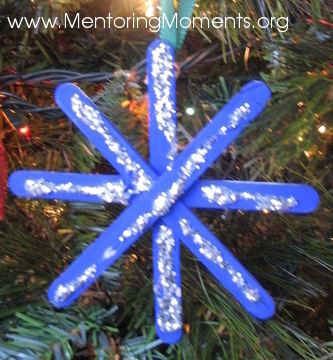 Popsicile sticks, blue marker, and glue and glitter. 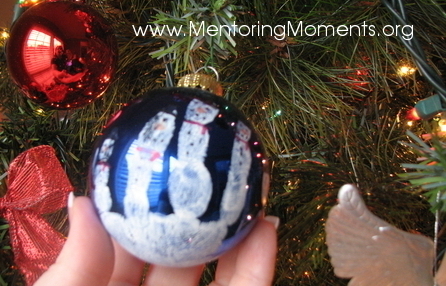 Blue ball ornament, white paint, and fine point markers (to draw in eyes, nose, scarf, and hat). 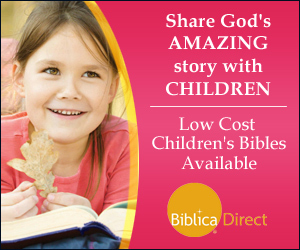 Using a sponge, dab white paint onto child’s hand and gently press onto ornament. When it has thoroughly dried, draw in hat and eyes.